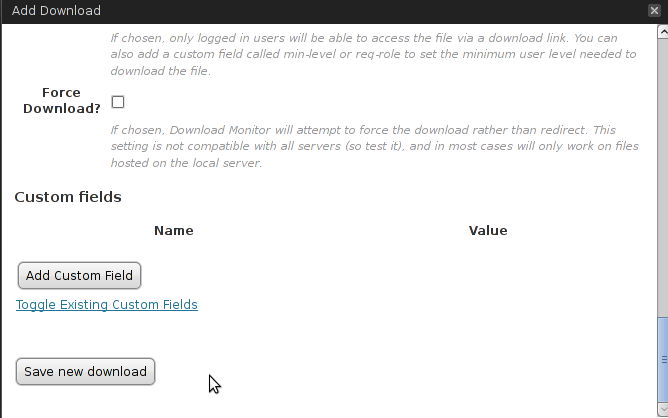 With the latest update of download monitor plugin for wordpress I got a problem. The download code was not any more inserted into the post. 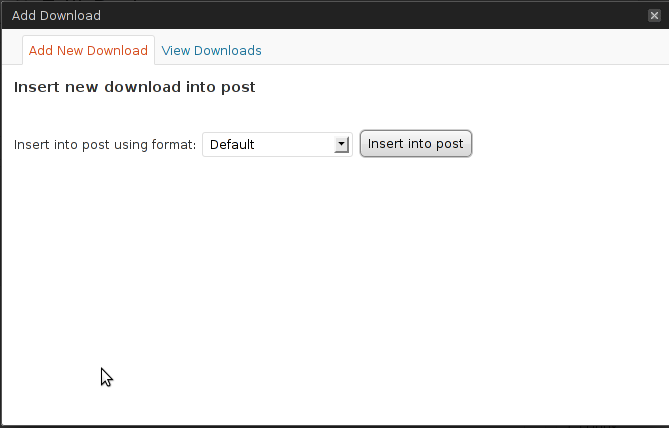 I place the cursor in my new post and the clicked the download monitor symbol (the arrow down) to upload and insert a new file. After entering a title and selecting the file to upload using the browse button to upload a local file, I click [Save Download]. Then at the bottom of the “Add Download” click on Save new download. Now nothing happens, the dialog remains on screen. 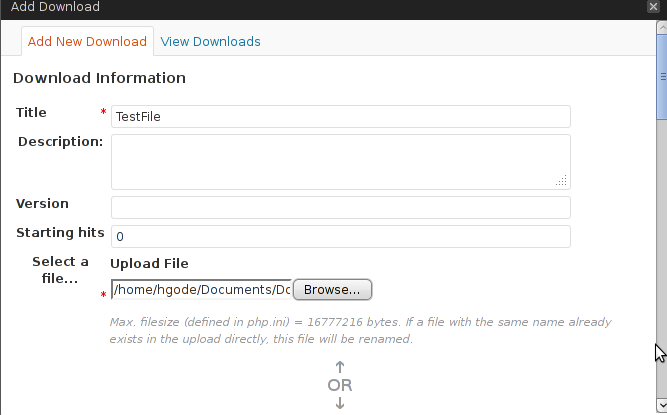 I just updated my CodeProjectFeeder WordPress plugin. Fixed a bug according to WeBiscuit’s post at the CodeProject Technical Blog Article. See download of version 1.11. In the beginning, everything was done manually. After the third time I had to edit feed-rss2.php of wordpress to fulfill CodeProjects Technical Blogs requirements I now wrote my first (and last?) 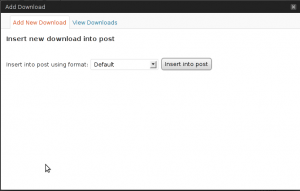 wordpress plugin. As you may know, CodeProject allows you to publish articles through your current blog. See here for the FAQ. As I am using wordpress, I started some time ago to submit blog entries into CodeProject. I had to find out myself, where to change which file. To limit the range of blog entries that are published at CodeProject Technical Blogs I use a ‘hidden’ feature and created a category named ‘CodeProject’ in my WordPress blog. On my Technical Blogs site in CodeProject I then used http://www.hjgode.de/wp/category/codeproject/feed/ for the feed input. Now only the articles marked with WordPress category ‘codepoject’ are feed to CodeProject. 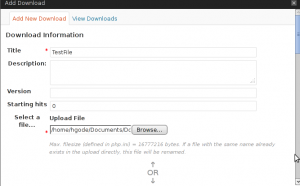 In feed-rss2.php I always had to add a <category>CodeProject</category> line below <channel>. Further I had to change the footer.php of the wordpress theme Win7blog that I use. 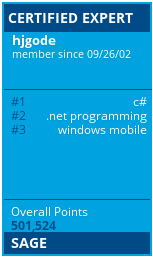 There I added a rel=”tag” line as recommended by CodeProject. Now, the first manual change has to be done everytime you update your wordpress release. I had to to this at least three times before I start now with a plugin to I avoid changing the file again manually. I never wrote a WordPress plugin before, but I did some html, php and mysql coding before (ie the calendar on www.fewo-britta.de or the static pages at www.derbiedermann.de, which are generated from a db). But the learning curve was hard and it took me several hours to get the plugin working. I started with the plugin described at DevLounge in there “How to write a WordPress plugin” series. The article was the only one I could find that describes wordpress plugin development from scratch with a working example. As I had problems adopting the code to my needs, especially the AdminPage, I had to rewrite the code a little bit.